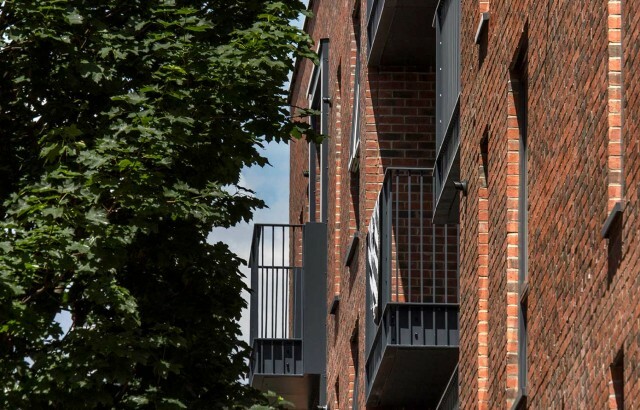 Stockwool has recently completed a new canal-side development at Copenhagen Place, a 45-home scheme on the edge of the Limehouse Cut conservation area. 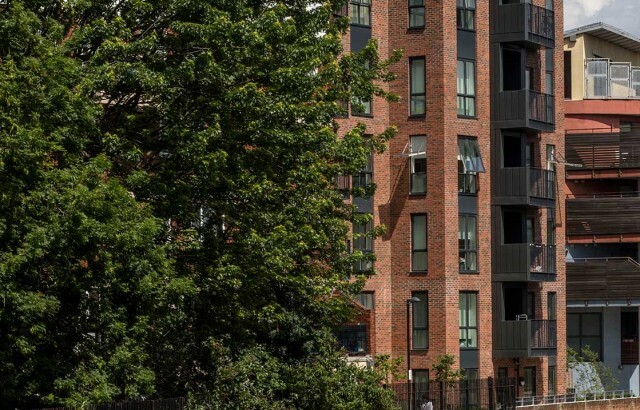 A five and seven-storey building is set back from the northern edge of the canal to extend the canal towpath and reinforce the existing pedestrian link up to Copenhagen Place. The mixed-tenure scheme includes 14 affordable homes and is arranged around a central courtyard with a children’s playground. Our ambition was to echo the heritage of canal-side warehouse architecture which was a key characteristic of the Limehouse Cut, through the use of simple repetitive forms with distinctive pitched roof profiles and a robust palette of materials. 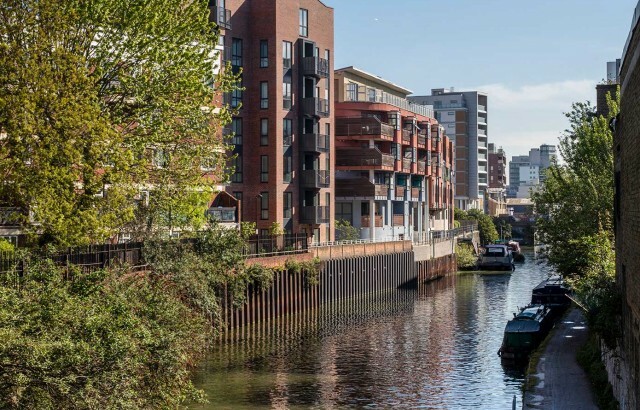 The Limehouse Cut is London’s oldest canal and the redevelopment of this site helps to shift its focus from industrial to more leisure based uses, improving accessibility to this important urban amenity.